Are you the founder of a technology startup operating in Ghana, Nigeria, Kenya or South Africa and have ambitions to scale across Africa? 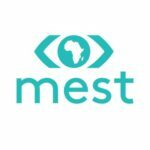 Submit your company for the MEST Africa Challenge! Country winners will travel to the finals at the MEST Africa Summit in Cape Town to compete for up to $50,000 in equity investment and a range of other support to accelerate their Pan-African scale. For 10 years, MEST has trained aspiring entrepreneurs and invested in exceptional businesses with Pan-African ambitions. These companies have gone on to enter new markets, with MEST growing alongside them as we’ve learned about the opportunities and challenges they face as they scale. This year, we are excited to host our first Pan-African startup pitch competition, the MEST Africa Challenge! We’re looking for the continent’s most exciting African startups who are looking to scale into new markets, to participate in the Challenge. If you are a post-revenue tech business, in any vertical, who can show why you should be taken seriously as a leader in your space, apply now for the chance to pitch at our regional events in Accra, Nairobi, Lagos and Cape Town! The winners of the regional competitions will be flown to Cape Town in June to pitch in the finals. You could receive $50k in equity investment from MEST, as well as a home in any of our incubators. Come meet the leading investors, corporates and ecosystem partners from across Africa, Silicon Valley and Europe, who will take your business Pan-African. Companies must operate in the market in which they are applying. We look forward to hearing from you! Apply now.